DOWNTON ABBEY: SEASON 6. ©RLJ Entertainment. 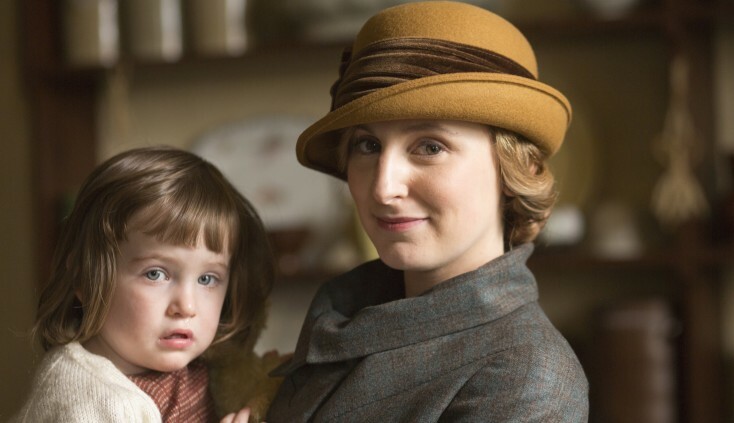 HOLLYWOOD—For five seasons, Laura Carmichael has played plotting and often put-upon middle child Edith Crawley on the worldwide hit TV drama series “Downton Abbey.” The sixth—and final—season premieres Sunday, Jan. 3 at 9 p.m./8C on PBS. The longrunning series has revolved around the lives of an upper class British family, Lord and Lady Crawley and their daughters Mary, Edith and Sybil (who tragically died shortly after giving birth), as they go through the social and economic changes of the early 20th century. The series also delves into the lives of the Crawleys’ staff of servants. 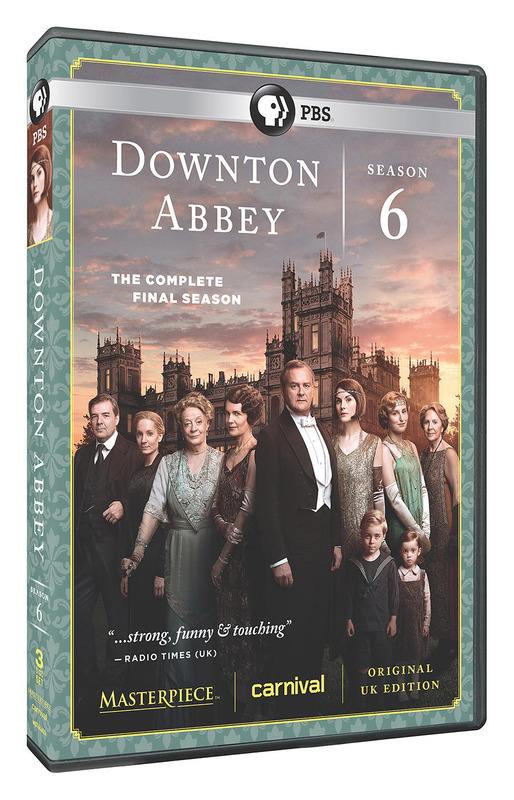 Created by award-winning screenwriter/director Julian Fellowes (“Gosford Park,” “The Young Victoria”), the series premiered in 2010, and became an instant favorite with TV viewers around the globe. A recipient of numerous accolades, including multiple Emmy awards, the show’s influence has seeped into the pores of pop culture, inspiring parodies, songs and a wide range of merchandise. Initially set in 1912, “Downton Abbey” began with the news of the sinking of the Titanic reaching the country manor, the consequences of which alters the ownership of the estate. Since then, the characters have endured the hardships and heartbreak of World War I, illnesses and death, weddings and births, and more. The cast has included top-notch British and American actors include Maggie Smith, Hugh Bonneville, Elizabeth McGovern, and special guest stars including Shirley MacLaine, Paul Giamatti and more. Now, as the series enters the sixth and final season in the mid-1920s, Carmichael, like her castmates, is ambivalent about the imminent end of the journey. The elegant 29-year-old strawberry blond spoke at the Television Critics Association about being part of the “Downton” phenomenon, favorite moments, what she will miss about the show and what’s ahead. Q: Of all the journeys the “Downton Abbey” characters have had, Edith’s is just incredible. She’s almost married to an elderly farmer, who was going to disappear forever, and here she is in this penthouse in London and owns newspapers now in this final season. How much has this astonished you? Did you know it was coming as it came, and what do you think of Edith at this point? What kind of person is she now? Carmichael: I love the journey that Edith has gone on because she could have been the most conventional of the three daughters. I think she wanted a life much like her parents and grandparents, but because of the knocks, because of the heartache (she experienced) she’s sort of had to find a different path for herself, and that was surprising. I am always delighted by the direction the journey has moved with her, because I think she’s incredibly resilient, and I believe that’s the thing that she has proved. Julian (Fellowes, the show’s creator) always says Edith wants something for herself and, in this era, because of the time that we are showing, there are these windows of change. After the war, she has found the enjoyment of work, and so I have been delighted. I think it has been a really interesting journey, and one that is so specific to this time as well. Q: What will you miss most when the series ends? Carmichael: I want to take most of the set home from the newspaper office (where Edith works), just because it’s really cool and nerdy. I also want the old-fashioned stationery that I somehow find very exciting, and the typewriters. I also like the big leather sofas. It’s a really cool set. I love all the props. Q: Is Gregson (the father of Edith’s out-of-wedlock child who disappeared on a trip to Germany) coming back in the final season? Carmichael: (laughing) I can’t tell you! Q: Is the finale open-ended or will it come to a definitive conclusion? Carmichael: I think it’s a satisfying ending. It would be crappy if it were like any other episode. It feels special. I don’t think you’ll be able to stop thinking about these characters until they’re dead and gone. Q: Edith has had quite an evolution from the beginning, hasn’t she? Carmichael: Sure. Originally, she wanted to get married and have a home like Downton, maybe not as large a scale, and throw the dinner parties and be the lady of the house and be a respectable woman in society, and saying what she thought. She loved (her cousin) Patrick. That could have been the goal for her (but he perished aboard the Titanic), and, of course, she was disappointed. The second (season) was such a huge series for all of the characters because the war changed their prospects. They all found a way to be useful. They couldn’t sit back and do nothing. And through that, she found her independence and joy in being useful. That happened with real women in that situation at that time. By doing something they found empowerment and a voice for themselves. So after she was jilted at the altar, that voice comes out and she’s upset about (women not having) the vote. In 1921, there was a rule that women could only vote if they were married or over 30. So Edith was in the disenfranchised section of having just been jilted at the altar and she’s annoyed by it. That’s when she wrote the letter to the (London) Times, which is found by Gregson, and that’s where her role comes in as a writer. So I think that’s so interesting. Q: Edith and her older sister Mary (played by Michelle Dockery) have been at odds from the outset. How does their relationship wind up? Carmichael: They’ve come a long way. Edith is at the newspaper and Mary is pretty much running the (Downton) estate in the final season. Tom Branson isn’t there anymore, so she doesn’t have the agent. It’s just her; and she’s in control. They kind of become Town and Country women of the world—running the estate and running a newspaper. It doesn’t mean they’re not still jealous of one another. It’s weird for Edith to see Mary in charge and that makes her frosty. Meanwhile, Edith is swirling around London. That’s where they start at (at the beginning of the season) and it goes from there. Q: What will you miss playing about the bickering between Edith and Mary? It seems like sometimes their rivalry was sort of rooted in comic relief. But what was that really about? Carmichael: I think they’re both very stubborn and very proud and then I think in ways they’re very similar. Michelle and I both have two sisters, and are from families with three girls. You know your sister more than you know anyone else, in a weird way. You know where to stick the knife in. In the case of Edith and Mary, they know how to wind each other up, and really do the worst they possibly can. There’s something that’s remained truthful about it even though it is so funny. They’re witty, smart girls and they know what they’re doing. But, yeah, it’s been really fun to play. Q: What has been the most difficult thing about filming this final season? Carmichael: It was very strange saying goodbye to the (Highclere) castle, because it felt like a second (home). And it wasn’t our home anymore. Of course, it was never our home, but it felt like it for over six years. As soon as they said, “Cut,” on that last day, you realized it was just pretend. It’s full of so many fond memories, and it was very emotional. We had a big cry. Q: What will you miss about playing a character from the 1920s? Carmichael: The clothes have been wonderful and having things made and designed with you in mind and for the storylines and for these occasions. It’s been really, really special. Q: Is there a character other than your own that was a favorite for you just as a fan? Carmichael: I love (the butler) Molesley. Sometimes I draw a comparison between him and Edith. There’s poor Molesley, and there’s a poor Edith. So I think they’re sort of kindred spirits. Although, he is obviously entirely pure and innocent, which maybe Edith didn’t always start as. So, yes, I love Molseley and I love Kevin (Doyle’s) performance. Q: Do you have a favorite line from the series? Carmichael: One of my favorites is: “Isobel is coming out of the mist,” which was Tom Branson’s line from one of the episodes. Q: Do you have a special cause that you endorse? Carmichae: I’ve become A World at School ambassador, which we’re encouraging people to sign a petition to draw our (world) leaders’ attention to the fact that there’s 58 million children out of school worldwide at the moment. It’s a number which is only getting bigger because of conflicts. So everyone can sign the petition online at aworldatschool.org. Carmichael: I’m not sure yet. I’m still meeting on things and making some decisions. We’ll see.